Creating influential research and educating exceptional business leaders, the Warrington College of Business Administration has established itself as one of the nation’s elite public business schools. Encompassing the Heavener School of Business, the Fisher School of Accounting and the Hough Graduate School of Business, Warrington offers one of the nation’s most dynamic and diverse business curriculums. Included among Warrington’s nationally-recognized offerings are a robust undergraduate program, innovative specialized master’s programs, the influential UF MBA and renowned doctoral programs. The first step in the admissions process is to decide which of the many Florida MBA programs is the right fit for you and your career goals. You can only apply to one MBA program at a time; however, after reviewing an application, the admissions staff may recommend a student for another MBA program. For traditional full-time students, the average G...The first step in the admissions process is to decide which of the many Florida MBA programs is the right fit for you and your career goals. You can only apply to one MBA program at a time; however, after reviewing an application, the admissions staff may recommend a student for another MBA program. For traditional full-time students, the average GMAT score is about 670. In the executive, online, and professional programs, the average GMAT score for entering students is about 600. All UF MBA programs admit students on a rolling basis. The Graduate Business Career Services (GBCS) works exclusively with MBA candidates, helping them prepare for a career through individualized counseling, mock interviews, an active on-campus recruiting program, and corporate site visits. Career counselors also send out a bi-weekly email update with job listings, and maintain a database of alumni who are willing to serve as job contacts and advise current students. For part-time stu­dents who receive tuition assistance from their employers, Career Services are provided by an outside career consulting company; however, to avoid ethical conflicts, their partic­ipation in recruiting programs is limited. All MBA candidates may also use the school’s university-wide Career Resource Center. University of Florida has a “very strong alumni network,” which is an enormous asset to professional students, as well as those looking to start a new career. UF alumni are repre¬sented at a wide range of companies, including AIG, Allstate, AOL, Bank of America, Ashland Chemical, Bell South, Blue Cross Blue Shield, Citicorp, Delta Airlines, Deloitte, Ericsson, EDS, Ernst & Young, FedEx, General Electric, Morgan Stanley, Nissan, Motorola, Proctor & Gamble, Siemens, Time Warner, Wachovia, Walt Disney World, Wells Fargo, and many more. Bureau of Economic & Business Research, Business Ethics Education & Research Center, Real Estate Research Center, Center for International Economic & Business Studies, Center for Public Policy Research, Center for Consumer Research, Decision & Information Sciences Forum, Center for Innovation and Enterpreneurship, Center for Technology and Science Commercialization Studies, Florida Insurance Research Center, Human Resource Research Center, Public Utilities Researh Center, Center for Accounting Reserch & Professional Education, Retailing Education & Research Center. 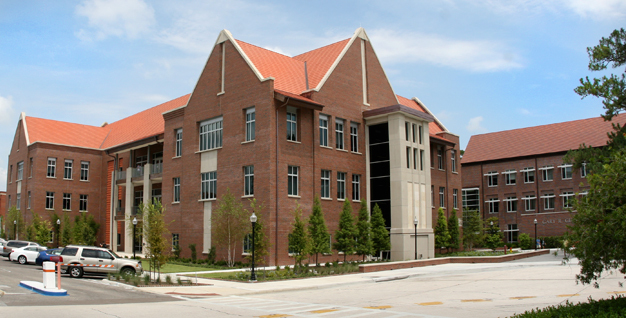 Want more info about University of Florida, Hough Graduate School of Business Part Time MBA? Get free advice from education experts and Noodle community members.